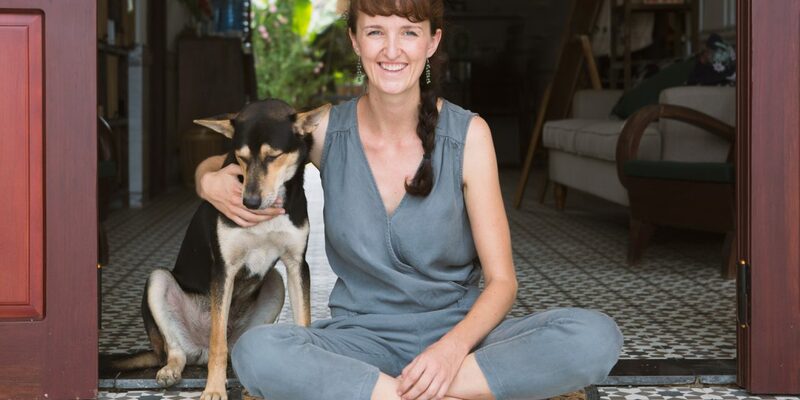 Sarah Kuhlemann wants nomads to think of Hub Hoi An as their “home away from home.” Setting up her entirely foreign-owned coworking space in Vietnam was not easy, but it was a dream she developed after traveling and writing business plans for startups. Sarah opened Hub Hoin An in April 2017 and has been welcoming members to the space’s highly-productive community ever since. 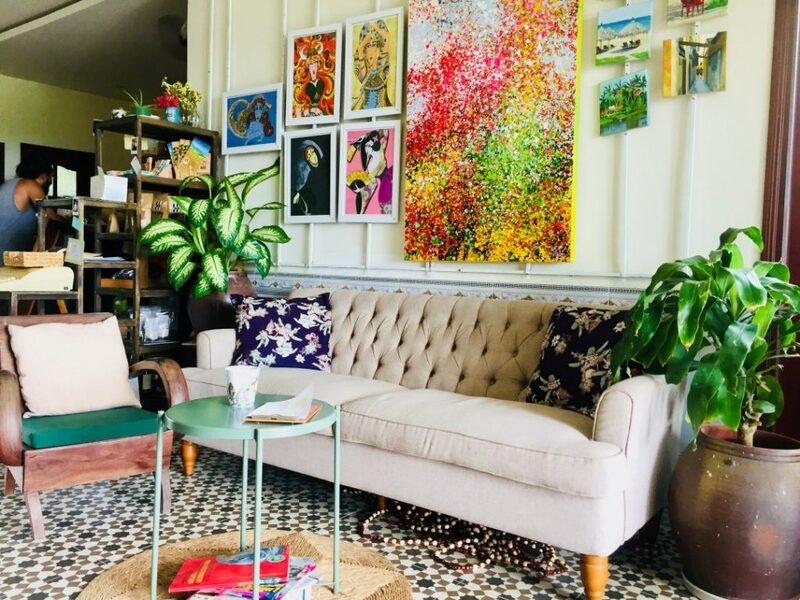 If you’re looking for your next coworking adventure, Hub Hoi An is the place for you. Here’s why. Through a great boring time I had spent in a German office planning my world trip in 2016. What is your involvement with Hub Hoi An? 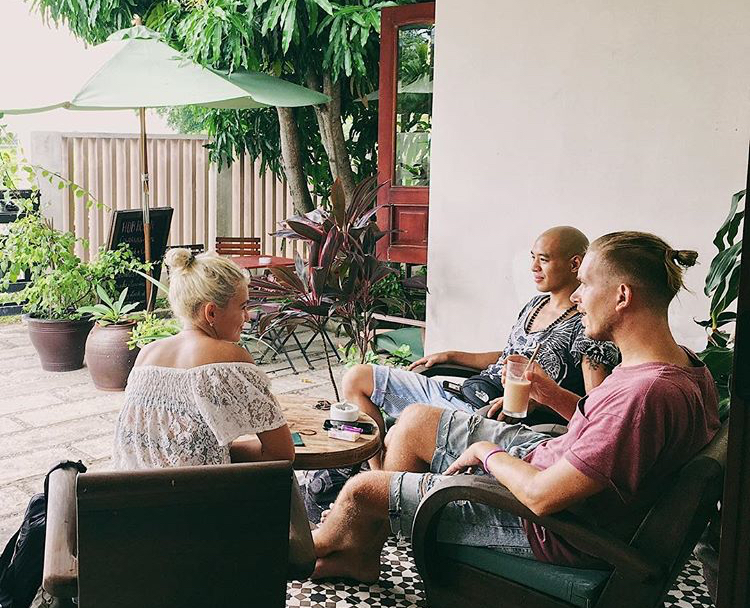 When did Hub Hoi An open / what made you decide to open up a coworking space? We opened in April 2017. I was travelling the world as a digital nomad, writing business plans for startups. I had a look at Coworker to find places to work from in my next destination. When I came to Hoi An, I’d be sitting in one of the beautiful cafés or in one of the chilled beach bars, and it felt like an incredible place – but there were no coworking spaces yet. I missed the supportive, inspiring and social spirit of a coworking community. I continued travelling and wrote my own business plan, called Hub Hoi An Coworking Space in Hoi An, Vietnam. The more time I spent designing this adventure, the more excitement arose within me. In New Caledonia, I calculated the needed investment; in Peru, I searched for furniture on Pinterest; in Tahiti, I thought about a lush tropical garden space. Then, in Havana, I called my family telling them about my dream, and I finally booked a flight from the U.S. back to Frankfurt, packed my bag, said goodbye to friends and family and flew to Da Nang. That is how it all began. What are some of the highlights of Hub Hoi An? When we talk to our members, most of them highlight the highly productive spirit that fills the Hub. I have put all my brain and heart into the space to make it feel like being at home (with an actual key to the house), surrounded by inspiring online rockstars you can call friends after just one community lunch. The glass house in the garden is one of our workplace highlights, as well as the barista coffee machine and our mix of French and Vietnamese chefs that cook according to our members diets and preferences. But all in all – no matter how beautiful a space looks, it is the people who give a house its soul. We put a lot of effort into our community to provide a space to make friends and to coworkers and mentors. The people and the high level of personal growth, learning and development. There’s constant motivation, support, friendship and cheering on. And when it ends with a beer at the beach, how could a workday end any better? How would you describe the community at Hub Hoi An? We have individual travelling digital nomads, remote working freelancers and online entrepreneurs from all sorts of industries. From yoga teachers, nutritionists, online therapists, Amazon resellers, marketers, e-commerce experts, writers, designers to other IT-related professionals. Our community is all about making friends, working together with motivated open-minded coworkers and spending some fun time around the working hours. Making friends and feeling comfortable from the first moment is a core element how we build our community. We have two people at the moment who are responsible for organizing and hosting our social events. We provide a wide range of activities, from movie nights and dinners to excursions and beach breaks. We try to help our members get physically active with either yoga, thai boxing or going to the gym, so our members get discounts from local partners. We also host daily community lunches, which is the easiest way to meet the other workers. I came to the Hub to focus on a rebrand of my app, Clar. Clar helps people waste less time on the internet. It works by removing features such as news feeds, discover pages and stories sections on social media, while keeping access to useful things like events, messaging and groups. Sarah’s created a luscious, green environment with a great community. The communal lunch has been a great way to to sit down with my fellow coworkers and get to know each other; plus, alongside the cafe, it means you don’t have to worry about anything from the moment you start your working day until you leave on your commute through the rice paddies – a far cry from the London tube that I’m used to. I went to a few different coworking spaces throughout Thailand and Vietnam before I found what I was looking for at the Hub. It can’t be overstated how much I’ve gained by coming to the Hub. I’m collaborating with fellow coworker, Susie, who’s helping me with a rebrand. That gives me the time to get started on my next project, sustainablist.io – the first stop for people who want to become more environmentally friendly. 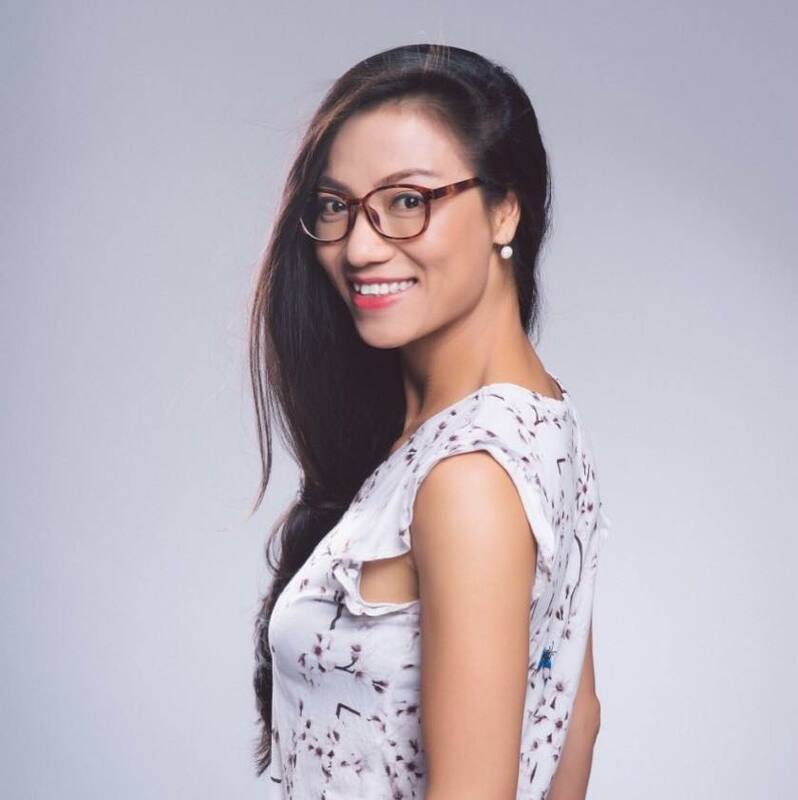 I am originally from Hanoi but have spent many years in the U.S. and Singapore, where I established a wellness brand called bePrana Wellness. While exploring Vietnam some years ago, I felt the strong desire to settle in the beautiful town of Hoi An and bring my wellness approach to this town. The Hub gives me the quiet and productive space I need to setup my business. The main pillars of bePrana are wellness training and wellness retreats. *Be the best host in the world. It is more than being a hotel, a restaurant or a travel agency. You are all-in-one. *Be your members’ best friend. It is about being an empathic, solution-oriented, stress-resistant, entrepreneurial, networking, listening team player. *Be an inspirational leader. This means it is your turn to take action to inspire, support, motivate, create, host, organize and cowork. Being a pioneer with a new concept in an area which is not always on the map for most digital nomads (Vietnam). *The legal structure: When you want to open a fully foreign-owned business in a foreign country, you might spend time and money in sorting out the administrative hurdles, risks and uncertainties. What licenses do I need, how to get them, how long does it take, how much do they cost, what is with the law and tax regulations, the accounting and administrative work in the future? * Personal Branding & Positioning: The concept of many coworking spaces is somehow linked with the personality of the founder. I would ask the following questions: Do you know your own values and strengths? Are they in line with the needs of the future members? What is the why (according to Simon Sinek) of your business and what are the goals? Where should the business be in three or five years? Who is your perfect member (age, profession, hobbies, length of stay, amount he spends / day) and what can you do to make him happy every day without running a charity project? How stress-resistant are you? What are the core values of your place? Do you have a strategy to separate your coworking space from the cafés and other coworking spaces in your area? Is your area easy to access and how many tourist arrivals are counted per year? Can you overcome low seasons? Do you have a mentor or benchmarks? Questions like these help to design your business model. Are there any cool resources that have helped you with operations that you would like to share? *Find one or two role models, get inspired and observe what makes them great. Then design your own concept along your own values, vision and taste. Find out what you like about their space and how you can implement parts into your concept. * Write your own business plan (I can help with that!) and be clear of all the possible scenarios, market data, season, income and expenses. 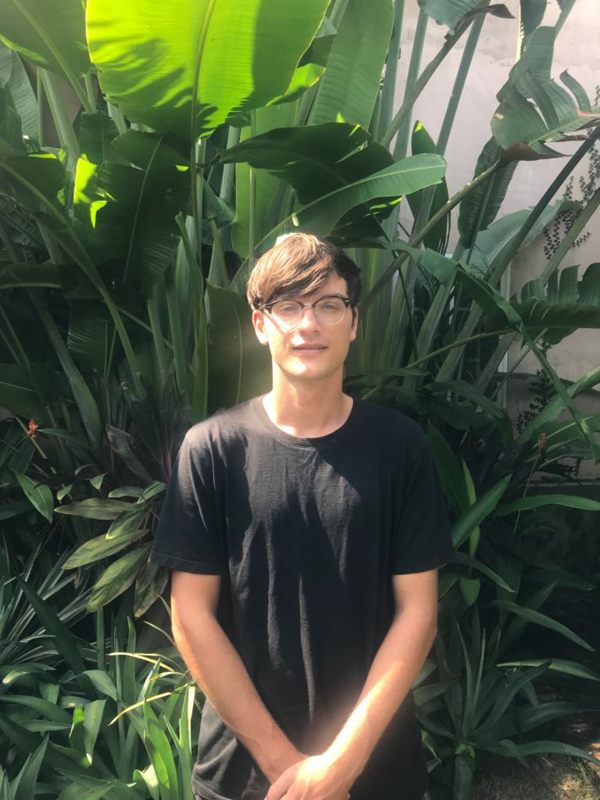 *Market research: I asked in the nomad community if people would consider traveling to Vietnam when I provide a professional and tropical workspace. I analyzed the market and wanted to be in a place without competition. As digital nomads are travellers, there should be good access to the location. How would you like people to remember you and Hub Hoi An?